Vaux le Vicomte Castle, France: photos, description, on the map. 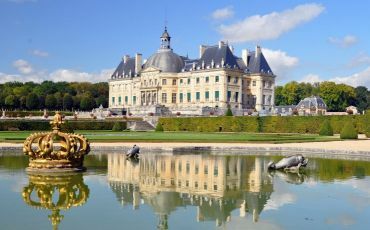 This magnificent castle of the 17th century is located in the commune of Maincy in Seine-et-Marne, 50 km southeast of Paris, near Melun. Here you will discover two wonders: the castle and the French garden. They are considered one of the largest private properties classified as historical monuments. Since 1875, they have belonged to the same family. The castle is surrounded by the large moat, that is typical for the French castles of the Middle Ages. 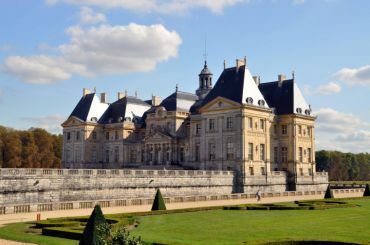 Its size is huge, probably to impress King Louis XIV, who had often visited the estate. 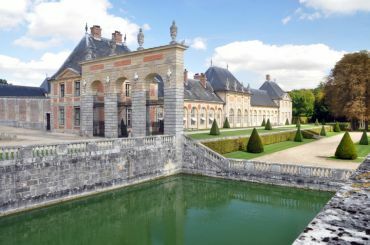 It is known that the castle served as a model for the construction of Château de Versaille. Inside the castle you can admire old furniture and beautiful paintings by Charles Le Brun. The garden was designed in the French Renaissance style. Its area is about ​​40 hectares. 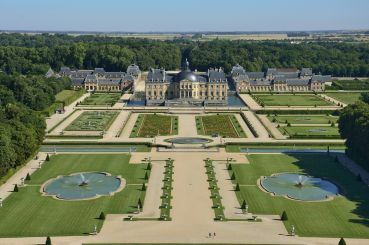 Directed by the landscape architect André Le Nôtre, the building and its gardens reached the perfect harmony. You can visit numerous events held there, including the Diner of Muses, when the evening garden is illuminated by hundreds of candles. Being at dawn in May in Vaux le Vicomte is a wonderful experience. You can get to the castle from Paris by train of the RER (line D) or use the line R of Transilien to Melun Station. Further you take a bus of the ChateauBus system.